It’s been a while since I posted, and I’ve made a little bit of progress. 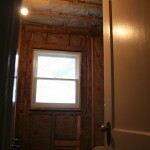 My big plan over the holidays was to work really hard on the bathroom and make some serious progress. Instead I relaxed and ate a lot of food. Porcelain on steel tub. 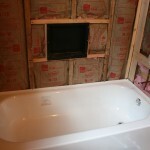 The black thing is a shower niche. New plumbing and shower valve. View from the door. 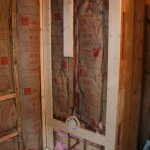 The exterior finally has some insulation.